Two country cottages (restored barn), at the end of an old farm. 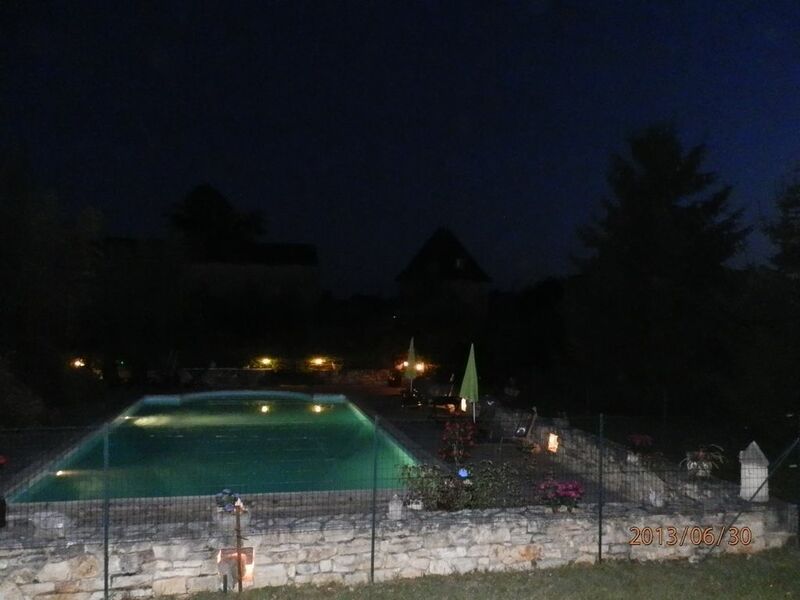 2 kms from PUY L'EVEQUE, chief town of canton with all trade, municipal swimming pool, tennis, base nautical, horsemanship, fishing, excursion, VTT, etc ... in the middle of the vineyard of Cahors, two country lodgings in stones (barn restored) at the end of an old farmhouse, for 4 to 5 people, 2 bedrooms, comfortable, central heating, garden, barbecue, large open space, shared pool. The Lot (river) at 500 m. Quiet (small road at 500 m, little traffic). Clear view on a beautiful landscape. Terrace, uncovered of 25 m² with garden furniture, sun loungers, parasol and barbecue. Plot of 500 m² unfenced with grass and trees. Filtered and maintained swimming pool of 6m x 14m, depth 1.1 to 2.5m, indoor and outdoor lighting, accessible at all times. Outside parking near the accommodation. Washing machine located in a small building nearby, with the possibility to extend the laundry inside or outside under cover and to store bicycles or other small items in safety. Region renowned for its gastronomy. Castles to visit. Cahors at 30 kms.